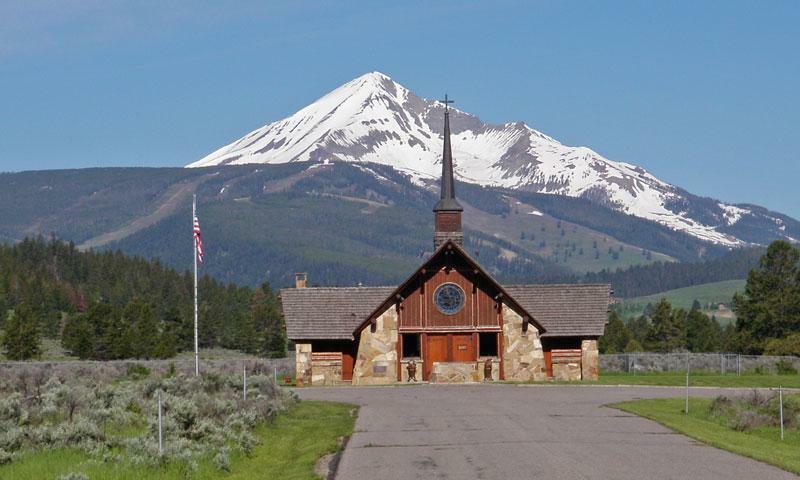 A small and remote ranching community beginning in the 1890’s, Big Sky became a ski destination and more established town in the 1970s, when Big Sky Resort opened on Lone Mountain. Though the U.S. acquired the territory that is now Montana with the Louisiana Purchase in 1803, it wasn’t until the late 1890s that homesteaders started settling in the remote area that is now Big Sky. In 1902, Augustus Franklin Crail set up his homestead that still stands today in Big Sky’s Meadow. For the next 70 years Big Sky was home to a small group of ranchers, and it wasn’t until 1973, when NBC newscaster Chet Huntley opened Big Sky Resort, that Big Sky started to take the shape it holds today. Though making Lone Mountain into a ski mountain was Huntley’s dream, he never saw it fully realized: Huntley died of lung cancer in 1974. Boyne USA Resorts then purchased the ski mountain in 1976, and Big Sky began to grow. In 1995, Big Sky Resort built the Lone Peak Tram, increasing Big Sky’s vertical drop to 4,180 feet. In 2003, Moonlight Basin opened on the North side of Lone Peak, and in 2006, the resorts partnered up to offer the Lone Peak Ticket, creating the biggest skiing in America over the combined trails - 5,512 acres. Today, Big Sky’s year-round population only adds up to about 2,200 residents. The ski mountain draws 400 more in the winter, plus hundreds of vacationing skiers. Still, slopes are rarely crowded and Big Sky holds its authentic small-town vibe. Historic lodge and hot springs near Yellowstone National Park.